I love barns! In the late fall and throughout the winter, the view out my back window is of an old barn. 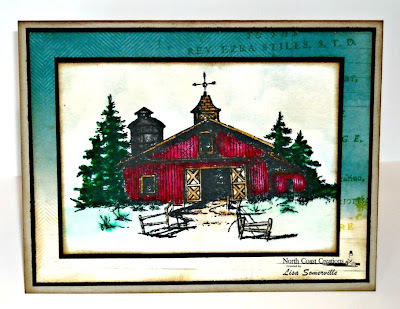 The barn stamp I used on this card is from North Coast Creations. 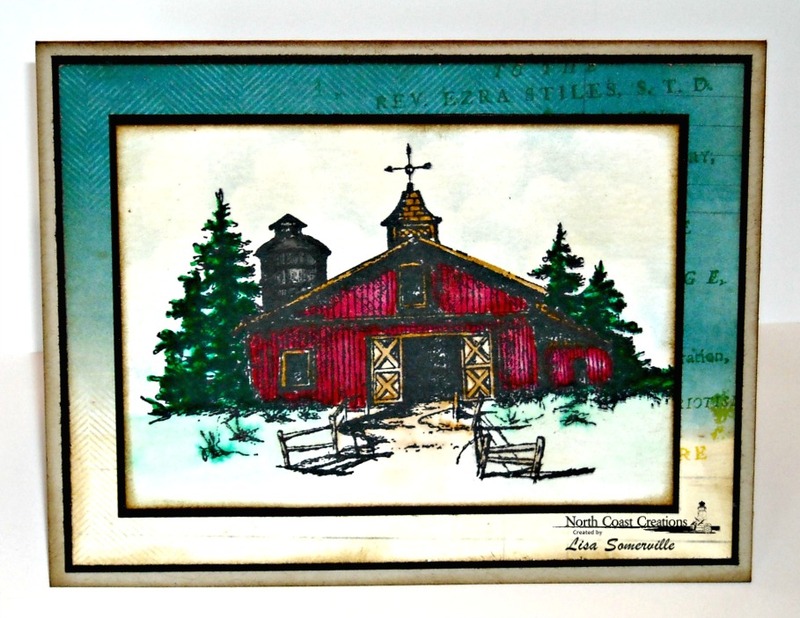 The image is stamped in Ranger Black Archival on Mixed Media card stock, then colored with STAEDTLER Mars Graphic Markers. After coloring the image, I added some clouds by sponging Blue ink around a scallop circle, then sponged the edges with Ranger Gathered Twigs Distress Ink. Thanks for stopping by, I'll see you tomorrow for the Bloggers Challenge! Very cool barn,love your colors. What a pretty card-such rich colors! I'm so glad that I bought this stamp (from you) today at Scrapbook Expo!